The Adenuga brothers, Joseph and Jamie, grew up in Hackney and Tottenham. As Skepta and JME they’ve been making music together for well over a decade, starting out in Tottenham’s Meridian Crew in the early noughties. Just call them the Brothers Grime. The Adenugas co-founded the scene-stealing Boy Better Know crew and created a string of underground smashes (and the ‘Rolex Sweep’ dance craze). They’ve also been instrumental in pushing grime into the mainstream: Skepta pulled together the supporting cast of London MCs that gave Kanye West so much presence and impact at this year’s Brit Awards. 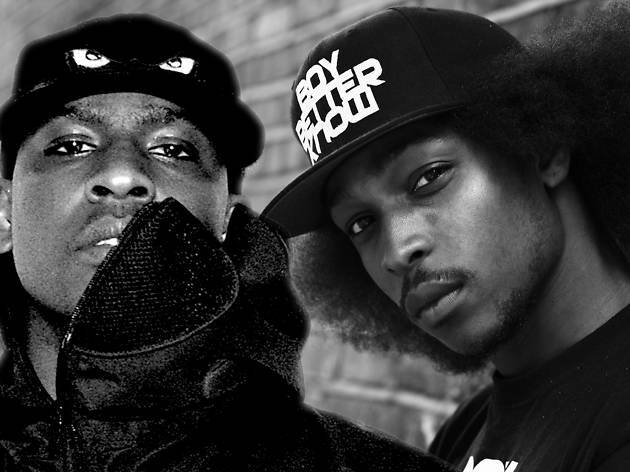 Skepta and JME’s incredible collabs include last year’s big track ‘That’s Not Me’: a back-to-basics anthem that gets crowds going from nought to nuts in approximately two-and-a-half seconds. You’ve also got them to thank for the timeless grime classic ‘Too Many Man’, which can be wheeled out any time a party, club or boardroom meeting starts feeling a little sausage-heavy. 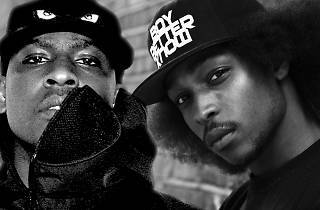 In contrast to some rappers’ hedonistic hip hop lifestyles, JME doesn’t smoke or drink and he’s a dedicated vegan. Skepta doesn’t eat flesh either, but he’s merely a vegetarian – he says he ‘can’t live without cheese’. And he can eat that because that’s not meat.